It’s time to get your TV’s tuned-in and recorders on stand-by; as this weekend the CITV Channel (Freeview 122, Sky 621 and Freesat 602) will be hosting a Mini Pokemon marathon on both Saturday and Sunday morning. 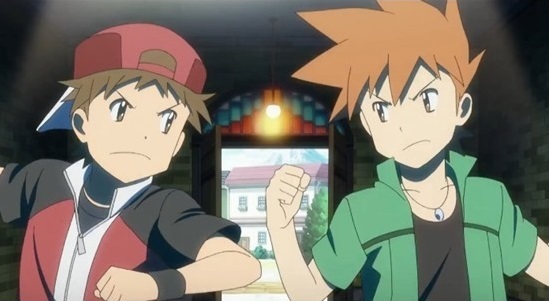 Starting on Saturday 18th July 2015 at 8:30am the two Mega-Evolution Specials, taken from the Pokemon XY Series, will be shown back-to-back; afterwhich all four episodes of Pokemon Origins, the spin-off series which closely follows the events of the original Pokemon Red videogame, will be shown. Meanwhile on Sunday 19th July 2015, and once again starting at 8:30am, six episodes from the second season of Pokemon XY: The Series will be shown back-to-back. If you’ve yet to see any of these episodes, especially the Mega-Evolution and Pokemon Origin specials, then this weekend is the perfect time to watch them. That’s right you are reading it correctly, CITV will be broadcasting the English Dubbed version of Pokemon Origins, which is a 4-part OVA adaptation of the popular Pokemon Red and Pokemon Green/Blue GameBoy Games, next week within the UK. Each episode will be shown at 7:35am, starting with the first episode on Tuesday 27th May 2014 and ending with the final episode on Friday 30th May. This means that CITV, which is a freeview channel available on Digital TV, Sky and Freesat, will be the first UK based channel to air the series, thus making it a UK debut for Pokemon Origins outside the Pokemon TV App. But wait there is more, as on Monday 26th May 2014 the CITV channel will be airing back-to-back episodes of Pokemon: Sinoh League Victors from 9am until 1pm. And finally to top-it-all off CITV will be continuing to show brand new episodes of Pokemon XY: The Series on Saturday and Sunday at 11:35am. CITV is available on Freeview (Channel 72), Sky (Channel 621) and Freesat (Channel 602).